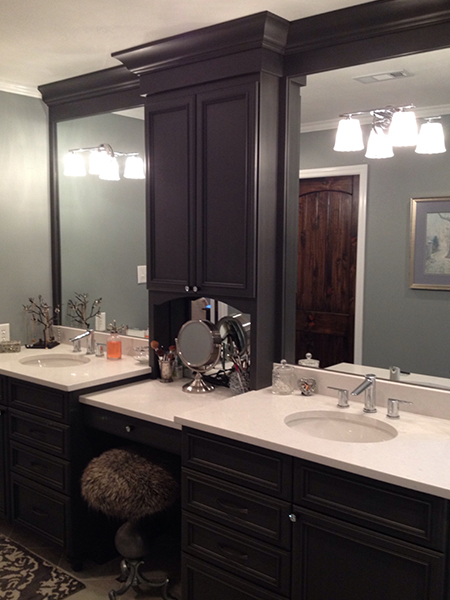 Just completed a fabulous new master bathroom remodeling job. 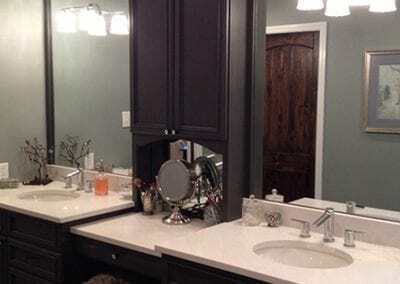 The cabinet color chosen is a dark ash and the countertops are a light gray/white Quartz. 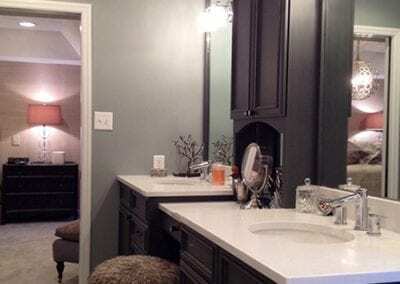 The visual comfort lighting looks great and our Luna Bella vanity chair adds the extra touch! We also remodeled the master shower with new floor to ceiling tile and solid glass doors and it also reflects our “grayish” color scheme. 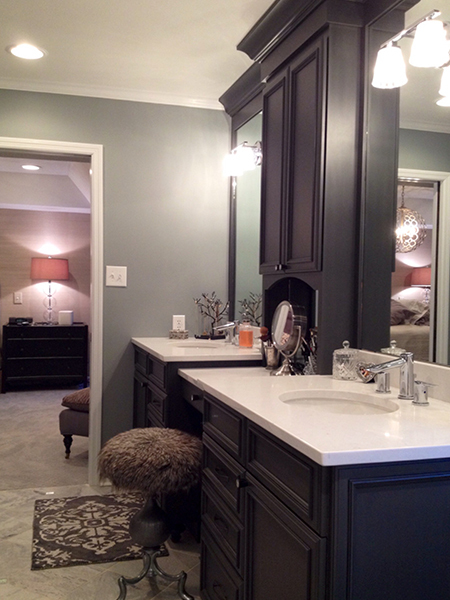 We also carried the same theme into the master bedroom which was also completely remodeled and redesigned. noir furniture for the bed and night stand, a Curry and Company chandelier and Lili Alessandra bedding completed this job. Oh well – and our custom draperies made out of linen fabric.